Revised and updated, a compact guide to the beverage that keeps us running. This was a fascinating book. 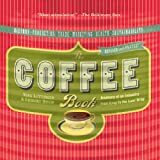 A very good overview of coffee from it’s beginnings to the present, and a real eye-opener on it’s effect on world economy and politics over the centuries. I was especially interested in the sections on ecology and marketing, and found it to be very well researched and complete, yet written in a very catchy way. The illustrations and sidebar notes included fit in nicely. Perfect to accompany “un tinto”, as they say in Colombia. I picked this book up at the library, thinking it was about kinds of coffee and how to brew it. I was mildly disappointed to find out that it was about the coffee industry, but I read every word. If you want to know how to minimize ecological damage in choosing your coffee, here’s where to find out. The history was also fascinating. A great read! Mr.Dicum and Ms.Luttinger have writtne a phenomenal book. From their obsure historical facts to their pinpointing the origin of coffee, 6th century Ethiopia, you will be riveted to your seat as if you were reading a fictional novel. They put coffee, the coffee industry, and global coffee politics under a microscope and often times it fails to hold up to the scrutiny. No matter what your political affiliation is you can’t help but be immediately shocked and awed and the incredible amount of sociopolitical machinations that go on for you to have that morning sip of java. For 11 years I have been a futures investor, broker, and author. One of the preferred futures contracts that I trade is coffee. This book has provided me with an indepth background and perspective on coffee that I never had before. This is now one of my reference books. For those that are interested in investing in coffee either actual grounds or in futures this book is for you and for those that can go a day without the original “liquid gold” you have got to read it. At the end of the day you will appreciate that Starbuck’s “venti mocha grande” just a little bit more.